Rail and searfarers union RMT today elected its first woman president. Left-winger Michelle Rodgers won a landslide victory over establishment-favoured Steve Shaw, who was billed as the “unity candidate”. Rodgers got 7,198 votes to Shaw’s 4,598, according to the Electoral Reform Services, which conducted the ballot, on a 15.8 percent turnout. Rodgers has worked on the railways for almost 30 years in many roles, including cleaner and guard. 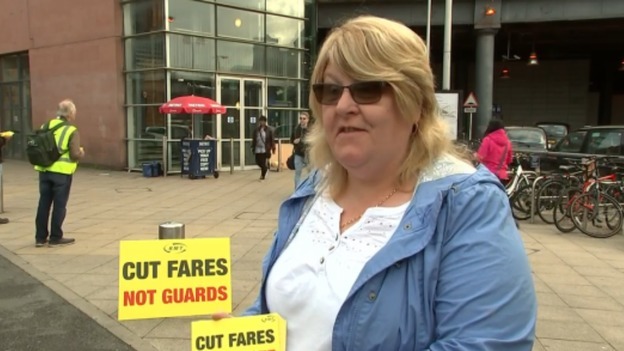 She is currently full-time RMT vice-president and the union’s Manchester South branch secretary. She told the-latest: "I'm over-joyed at the win, which belongs to the members who voted for me. The support around the country has been amazing, with branch after branch nominating me and comrades eagerly joining my campaign to give me their backing. 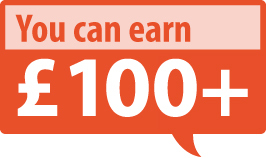 RMT is a great union and has proved how progressive it is electing its first female president. I promise to fight for the members at a difficult time in our industry that requires strong, principled leadership." In a statement, her branch commended Manchester Piccadilly station-based Rodgers as an “exceptional candidate who will bring Integrity, Unity and Equality to the role [of president]”. They described the most senior lay position in the RMT to which she has been elected as “vital in continuing not only to grow but protect our member-led union”. 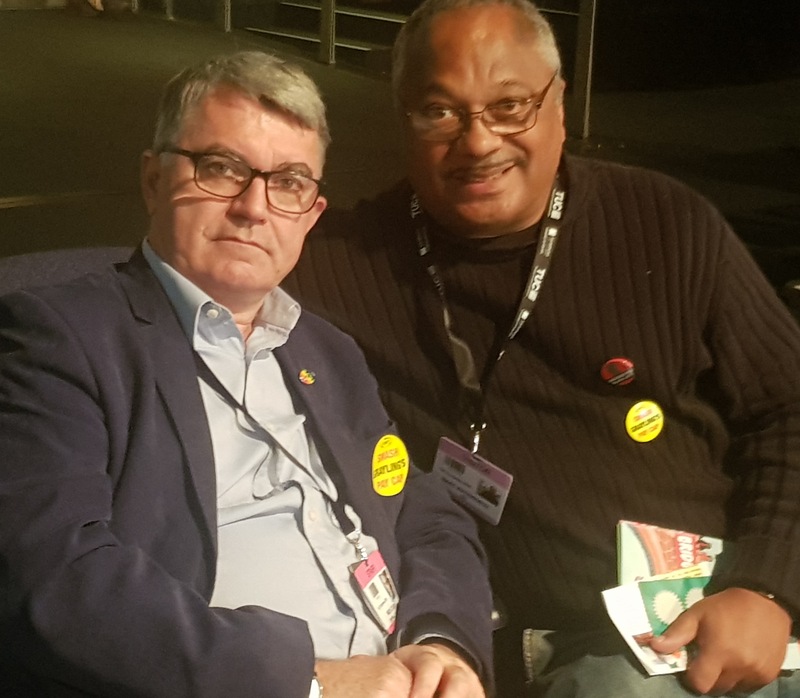 One of Rodgers’ staunchest supporters Glen Hart, secretary of the London Transport Regional Committee and RMT Black Members Chair, said, on Facebook: “Approachable, honest and considerate, Michelle will continue the succession of great RMT Presidents we’ve had over the years, who always put the members 1st." Other Facebook comments included Mandie Walton's recommendation “Michelle is the best candidate hands down”. Rodgers' branch pointed out her proud history of standing with others in solidarity and defending members in times of struggle. In 1992, she risked her job by taking unofficial action for more than three weeks in support of her sacked union reps in Manchester, who were dubbed "ThePiccadilly4". 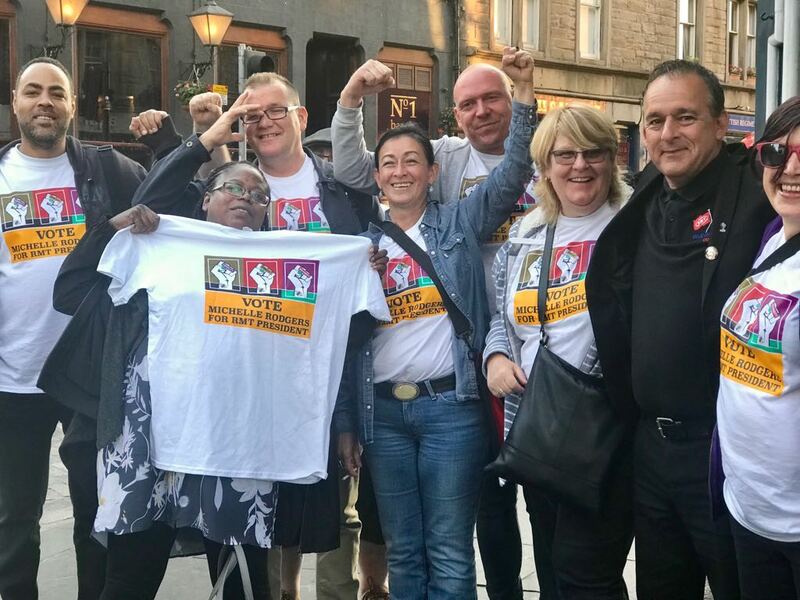 RMT was the first union to pass a motion at its annual conference supporting the reinstatement to Labour membership of expelled veteran Black activist Marc Wadsworth. Rodgers gave enthusiastic backing to Wadsworth's #Justice4Marc campaign when she met him at the TUC Congress this year. She served three years on RMT’s National Executive Committee between 2014 and 2017, before being elected vice-president, during which time she attended many grade and equality conferences and liaison committee meetings and this ensured she widened her knowledge base. She attended Manchester and RMT’s Northwest Regional Council for more than 20 years and held many positions on it. The president-elect has been a delegate to RMT’s governing annual general meeting and served as the president of her station grade conference. She is known to delegates at meetings for her fair and unbiased rulings.